Born in Ridgewood Valley Hospital, New Jersey and inspired by his late mother, Shirley Ann Conrad-Burton, Drake W. Conrad lived in Hackensack, NJ and Hamburg, NJ until he was 10 yrs. old. Shortly after that, his mother decided to move them back to her home state of Maine, where they moved back and forth from Dover Foxcroft and Dexter, Maine. In Dover Foxcroft he was able to learn from six elderly people how to interact with the elderly with care and compassion in his mother and stepfather‟s, Ansel Cobb, boarding home, which they operated for a few years. This helped Drake with his acting as much as any acting class or traditional school. When they moved back to Dexter for the final move from Dover to Dexter, Drake took up music and drama at Dexter Regional High School after an eight grade event called “Career Day” where he was asked, “what do you want to do when you grow-up.” He replied to the teacher, “an actor.” Since there was no actors to mentor in Dexter he was sent to the local high school to follow the English/Drama teacher, Mr. John Lawrence Barbetta, who helped Drake land his first paying commercial work for a local pharmacy. Since then he has appeared as an extra in Disney’s “Tom and Huck”, HBO’s movie “Recount”, GCO Carpet Commercials, and the FSU Film Schools short films: “Blackeye”, “Tee Time”, “Release”, and “Revolver”, along with many others. His acting training has included classes by: John D’Aquino, Cindy Hogan, Sheila Boy, Chip Chalmers, Michael McGuire and Mr. John Lawrence Barbetta. It was in those classes where Drake has benefitted immensely from the teachers, and now Drake is focusing on perfecting his craft. A native New Yorker, Jessica Mason has been an aspiring writer from a young age. Unafraid of hard work, she is willing to roll up her sleeves and get her hands dirty. Mason began her career working in print for the New Paltz Oracle newspaper as a Staff Writer/Copy Editor, while earning her B.A. in Journalism from the State University of New York at New Paltz (SUNY). She later fell in love with the camera and the ability to capture the motion and emotion of others in action. Mason recently obtained her Master’s degree in Media Studies from CUNY Brooklyn College, where she was able to expand her production experience. While working on her degree, she spent two years as a Field Associate Producer for the Emmy Award winning PBS television program Transit Transit News Magazine. She is currently working on the manuscript of her first novel and plans to take the powerful words of herself and others from the printed page to the screen. The oldest of two boys born to artist Nancy Smith, Christopher Siders grew up in Cleveland, Ohio where his interest in journalism and writing began at a young age. After watching “All the Presidents Men” in a high school history class, he became obsessed for writing for The Washington Post. After high school, he attended John Carroll University and became an English teacher. He then started a career as a journalist. He fulfilled his dream of writing for the Post in 2000. He has also been published in newspapers and magazines throughout the country as well as hosted a sports radio show. Kattie Harvey began performing at an early age. At the age of seven, she was already performing ballet and cheerleading. She is the former owner of Blaque Widow Promotions which was an all-female promotions street team. During her tenure with BWP she had the privilege of working with artists such as Allen Payne, Jermaine Dupree, TLC, and 95S. She was also featured in music videos “Baby, baby, baby” by TLC and “Whoot there it is” by 95S. Her talents also include writing poetry and casting. Writing poetry allows her to free her thoughts and express emotions that run deeper that the mind can imagine. She is known to her and family and friends as a creative force. She had the opportunity to collaborate with Five Alive Productions for the casting and auditions for the movie trailer “Slow Burn” by award-winning author Brenda Jackson. She is married to her high school sweetheart and has two toddler children (Saniya and Shane). Starring in a movie has always been her dream and now that dream will come true through “Truly Everylasting”. Kattie is also a seasoned and professional Employment Recruiter. Carter Jade Love Irvin, C J Love, began her acting career at the age of 4. She participated in the youth education program at Player’s By the Sea and was cast in her first play “A Miracle on 34th Street”. Carter continues to be a student of her craft at Player’s.. and as performed in many plays including “Bunny Magic”, “Strega Nona Meets Her Match”, “The Shakespeare Festival”, and a host of other performances including improvisations. She’s always pursuing that inward transformation in order to develop a character into reality. Her passion for the arts also includes dance and music. Dancing since the age of 3, Carter currently dances with a pre-professiona ensemble at Jacksonville Centre of the Arts which includes classic Ballet, Modern, Tap, Jazz, and West African. Yes, she loves the stage and has performed in a host of events in Jacksonville including World of Nations, Martin Luther King, Jr. Parade, National Dance Week at the Jacksonville Landing, 10th Anniversary at the Ritz Theatre, and many more. Qualifying her as a “TRIPLE THREAT”, Carter is a violinist who has been striving to master the strings for 3 years. She participates in the Cathedral Arts Program (CAP) and has performed in the annual JAA Night of the Arts, singing with the youth chorus and playing the violin in the JAA Strings Ensemble, 2008 Christmas Contatta, and the annual CAP showcase at the Ritz Theatre. Acting has emerged as the craft that Carter decided pursue a primary career. She portrayed a child subjected to abuse in “Pretending To Be Normal” as Little Juanita and Miracle in “Stop The Maddness”, which are two stage plays written by Victor Antonio of Milk-N-Honey Entertainment as well as Group Publishing’s Christian Music Videos. Already SAG eligible, Carter was cast as a European Kid Golf Player in “Tiger Woods Meets Team Sports PGA Tour 2011”, a national commercial produced by EA Sports. Her latest work includes being cast in her first film Truly Everlasting as Young Felecia; this film is based on New York Time’s bestselling author , Brenda Jackson’s romance novel. Duane G. Brown was born in Fort Polk, Louisiana to Roscoe and Ida Brown. His father was a Vietnan Veteran. He has three brothers and one sister. Being a military brat allowed him to travel and experience different cultures across the country. Being exposed to sports and diverse cultural backgrounds(AK., KS., GA., KY. & FL.) would be the backbone which would help make him the man he is today. He graduated from Fort Knox High School where he excelled in basketball and football. His senior year his team was ranked the most talented in the state of Kentucky, but only reached regionals before being eliminated out of the playoffs. He would receive All District honors and an MVP award. In football, his team was the first in school history to win a AA State Championship Title. They had a perfect record of 15 wins and 0 losses. He earned All State honors in his defensive end position. Despite his success in football, he received a scholarship to play basketball at Selma University in Alabama where he graduated with a B.S. degree in Business Administration. After he graduated from Selma University, he was invited to go to Dallas to tryout to play professional basketball, but, unfortunately he didn’t make the team. He then decided to go to Florida where his family was and has had several interesting jobs. He also was a member of Kentucky’s Army National Guard for eight years and was honorably discharged. He did his Basic and AIT Training in Fort Leonardwood, Missouri. His mos was 62B(Heavy Equipment Repairer). He is currently working in Tallahassee, where he met his coworker(Drake Conrad), who inspired him to audition for his first movie, HBO’S “RECOUNT” as an extra. 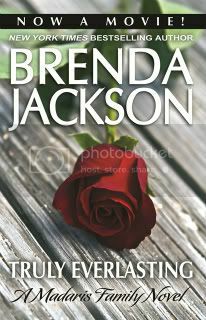 His latest project he is filming is from New York Times Best-Selling Author Brenda Jackson’s, “Truly Everlasting”.